Central Retinal Artery Occlusion (CRAO) is a potential eye blinding condition. The present treatment modalities have a very limited efficacy. We have observed that most of the cases of Central Retinal Artery Occlusion have an abnormal glial tissue or a thickened adventitia which may be responsible for predisposing the eye to Central Retinal Artery Occlusion. In our technique vitrectomy followed by a glial tissue removal and sheathotomy can restore the arterial perfusion. 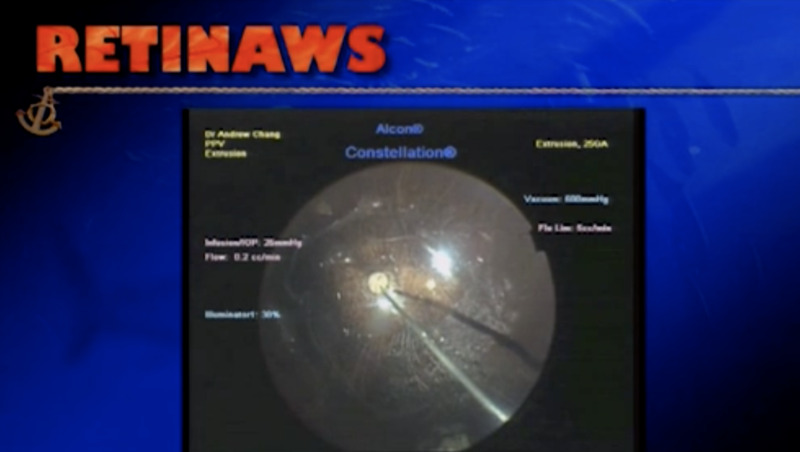 In this video we can see the Central Retinal Artery Occlusion open just after sheathotomy. The perfusion is fully restored by the end of the procedure. What is the waiting time after the CRAO that you suggest to perform the vitrectomy?